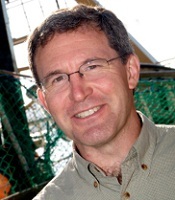 Steve Rintoul is Research Team Leader at the CSIRO Division of Marine and Atmospheric Research. In 2007, he was made a CSIRO Fellow and was elected fellow of the Australian Academy of Science in 2006. A biography of Steve Rintoul is in preparation. Dr Steve Rintoul, expert in physical oceanography.